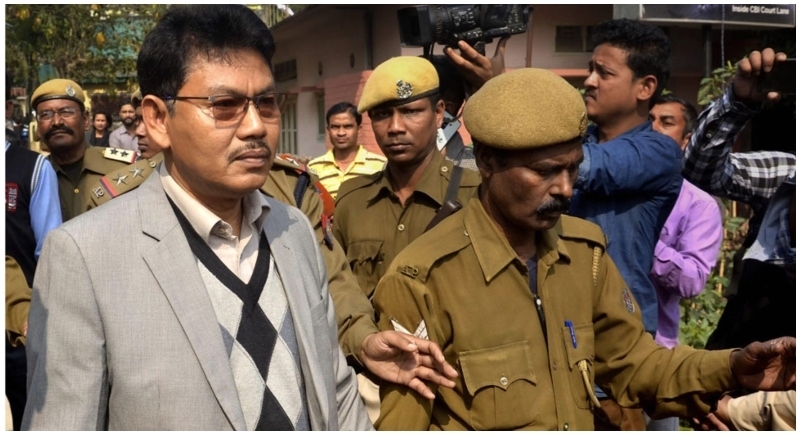 Guwahati, January 30: Prevailing justice, the CBI special court directed life imprisonment to the chief of the National Democratic Front of Bodoland (NDFB) Ranjan Daimary and nine others in the 2008 Assam serial blast case on Wednesday. The serial blast in Assam had claimed around 88 lives. CBI Special Judge Aparesh Chakraborty pronounced the quantum of punishment for Daimary, George Bodo, B Tharai, Raju Sarkar, Anchai Bodo, Indra Brahma, Loko Basumatary, Khargeswar Basumatary, Ajay Basumatary and Rajen Goyary amid tight security. Three other convicts namely Prabhat Bodo, Jayanti Basumatary and Mathura Brahma will be released after they pay a fine imposed by the court. The CBI court has ordered the release of Nilim Daimary and Mridul Goyary in the case as they have already served their sentence. As he was being whisked away by the police, the NDFB chief told reporters that he would appeal to a higher court against his conviction. "Bodoland will be created as we continue to serve our jail sentence," he added. Daimary and 14 others were convicted on Monday under various sections of the IPC. The NDFB chief's bail was cancelled immediately after his conviction and arrested, while the others were already in judicial custody. Nine serial blasts were triggered by the NDFB on October 30, 2008, three each in Guwahati and Kokrajhar, two in Barpeta and one in Bongaigaon killing 88 people and injuring 540 others. The CBI had taken over the case from Assam Police and had filed two charge sheets, naming 22 accused - seven of them still absconding. The first charge sheet was filed in 2009, followed by the second and the final one on December 20, 2010. The trial began in 2011 and the fast track court took over the case in 2017. During the course of trial, the statements of 650 witnesses were recorded and over 600 exhibits examined. Daimary was arrested in Bangladesh in 2010 and was shifted to Guwahati Central Jail. He was released on conditional bail in 2013 after the state government and the CBI stated before the Kamrup District and Sessions Judge that they had 'no objection' to his release, if he was given conditional bail in view of the ongoing peace talks with the NDFB.